New Orleans The Service Employees International Union (SEIU)’s Executive Board met and officially ratified the election of Mary Kay Henry as its new – and first woman – president which had been obvious after four of the seven executive vice-presidents and most of the large locals had swung to her with the announcement of Andy Stern’s resignation. People should not expect any radical change from Henry at least in the first couple of months as she consolidates her power in the office. In fact for the labor community the messages have been clear even though the smoke signals may end up differently once Henry has her hands more firmly gripping the wheel. No plans to reunite with AFL-CIO and take SEIU out of Change to Win. C2W seems to have a fork in it at this point. My bet is within the next 3 to 6 months, this is an area more likely to see a significant shift than any other. This might happen even faster, but the problem continues to be not the fact that SEIU wants piece, but that Bruce Raynor and John Wilhelm have to be willing to split the baby or to reunite within SEIU. My bet is that both of them are still asking for too much money to make the deal, and that it will take more time for them to stop high-low bargaining and get realistic. There is no hope to end the Bay Area fight over the Sal Rosselli split. Certainly this isn’t a surprise. Henry has been battle worn on this for 20 years and she has her own scars. Rosselli told me in Detroit at Labor Notes, that he did not expect that Mary Kay would have a different position on their situation. My bet is that the only hope for progress is some movement as the big Kaiser units come up for election. 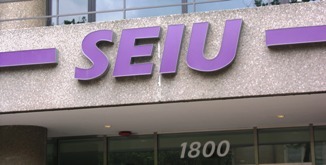 Several years ago SEIU lost the San Francisco building services market when a failed takeover and leadership replacement strategy blew up on them. Henry would not be happy making a deal with Rosselli, but shattering the Kaiser unit would be a huge defeat, so eventually more practical and organizational interests will have to prevail here. Henry also announced that she is willing to set a goal for grown at 4 million, almost a doubling of the existing size of the union, and got authorization from the board to boost the political commitment from $10 million to $14 million. These are big numbers and hard lines drawn in the sand for the union. The most interesting thing about the political announcement is that Henry is also signaling as the new President that the DC political establishment is going to be part of her personal portfolio. Much of this area has been in Anna Burger’s file as Secretary-Treasurer in recent years, and this could be an early indication that Anna will also be leaving in coming months to allow Mary Kay to consolidate her position with the appointment of a new Secretary-Treasurer to fill out the term as well. My bet is that by the October meeting of the International Board, this will be one of a number of changes that will mark the new regime. People get ready. This entry was posted in Labor Organizing, Organizing and tagged anna burger, mary kay henry, SEIU by wade. Bookmark the permalink.